Once again rearing their ugly heads to rain on everyone's parade, counterfeiters have apparently been busy making up fake tickets to this weekend's Steelers-Ravens tilt at Heinz Field. 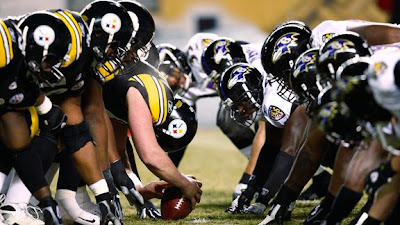 Anytime such large sums of money are being exchanged, some funny business is bound to come up, and with asking prices on tickets as high as $6,400 for a pair (as unrealistic as that is), there are enough bad tickets floating around for the Steelers to make note of it on their website. The team is naturally advising potential buyers to use the NFL-sanctioned Ticket Exchange for obvious reasons, but I wouldn't make too much light of the situation. Any money spent on bad tickets is money wasted, and the potential is higher for such a situation at a game like this one. Trust me, the Steelers want no parts of irate fans bilked out of their hard-earned money by con artists, and are doing the smart thing in keeping people educated as to the dice roll that is the secondary ticket market. He's allowed to be offsides, so long as he punches Big Ben in the head during the play. This was the first time coming back since it was remodeled. I have to say I am impressed. Madison Square Garden tickets The only disappointing thing was my favorite sports store, Gerry Cosby's moved a couple of years back. I used to love browsing before a game or concert.